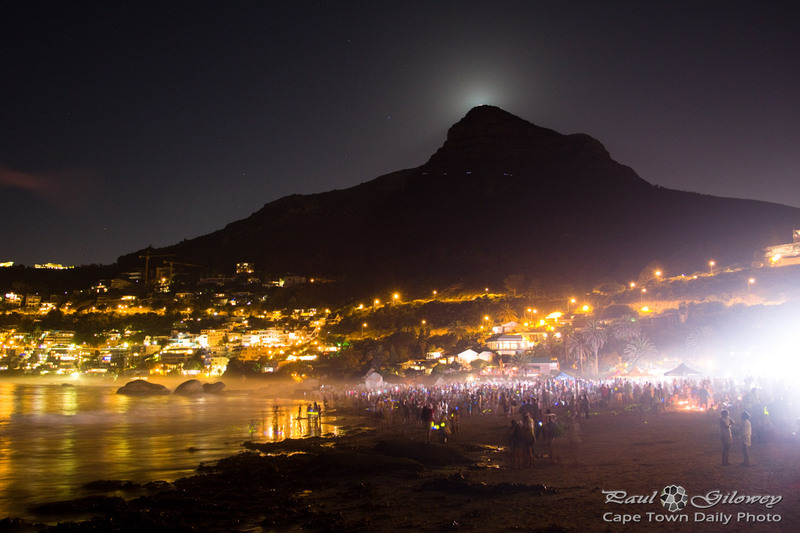 Each year around Valentine's Day one of our local radio stations, CapeTalk, hosts a huge beach party on Clifton 4th Beach, in aid of our much-loved National Sea Rescue Institute. 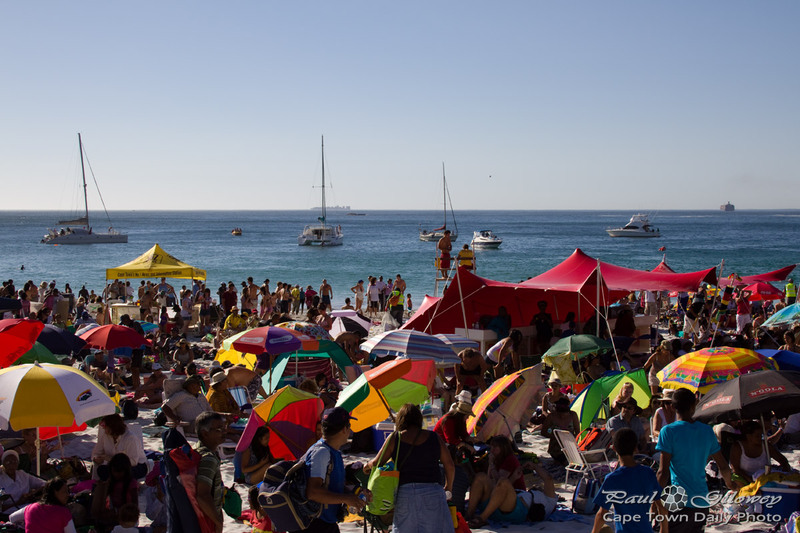 A stage gets erected, a band is appointed, and people flock to the beach with picnic baskets, bikinis, boardshorts and boomerangs (only kidding, Cape Town isn't in Australia). 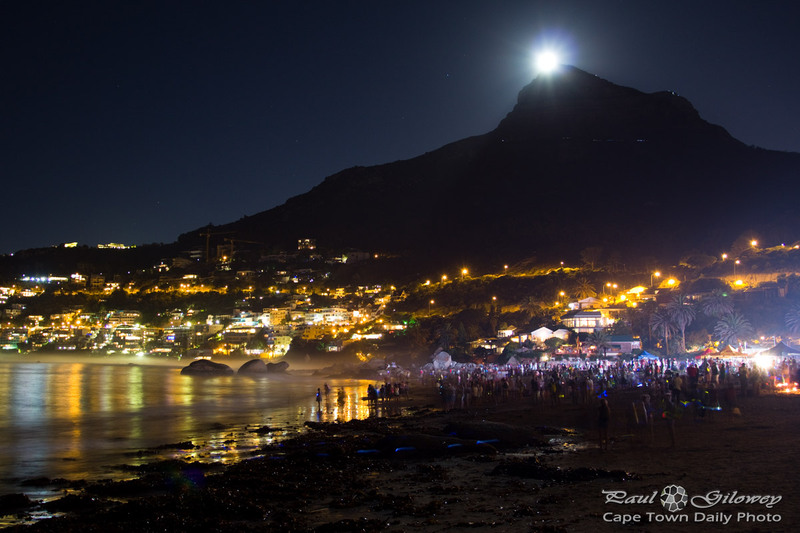 This year CapeTalk, and Discovery (this year's sponsor), invited The Solid Gold Session band to let their mix of 60s, 70s, and 80s hits spill out over the families and friends gathered on the beach. 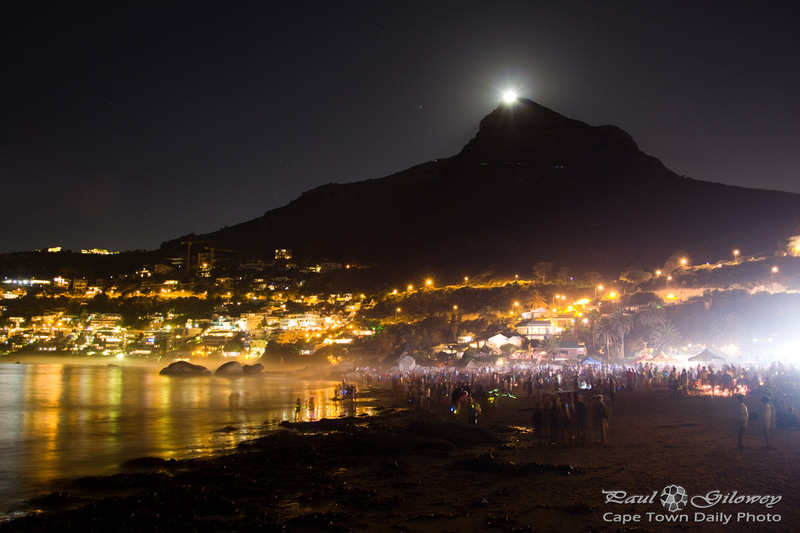 Posted in General and tagged beach, clifton, full moon, lion's head, moonstruck on Saturday, 15 February, 2014 by Paul. 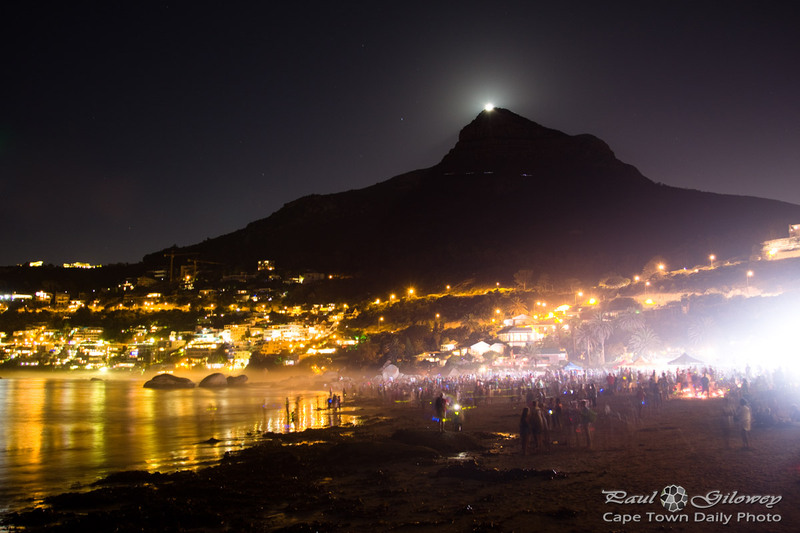 Each year 567 Cape Talk radio hosts Moonstruck on Clifton 4th beach. A medium-sized stage is erected on the beach and about 7000 people turn up between 5 and 6pm to have fun with friends, picnic under the setting sun, and listen to live music until long after the sun has set. In case you're wondering, Moonstruck isn't only about the awesomeness of a huge beach party. The event is run to raise money for the National Sea Rescue Institute, better known as the NSRI. I've written about the work that the NSRI do a couple of times - read more about the organisation, and how you can help, here and here. Posted in Events and tagged beach, moonstruck, party on Saturday, 18 February, 2012 by Paul.